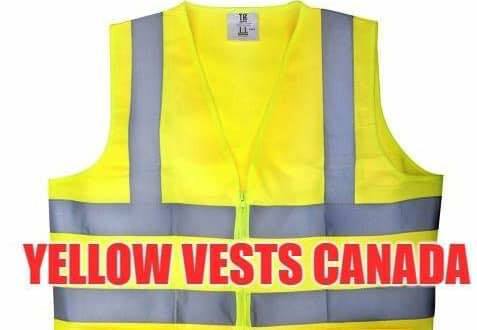 Anybody who is opposed to restrictions on new pipelines and also against the recent UN Immigration compact is invited to attend a yellow vest rally this Saturday at 11 AM in front of City Hall. “We are not fascists and not racists we are just ordinary people peacefully voicing our concerns,” says Al Church local organizer. “We want immigration but not completely open to anybody that walks across the border,” Church said, adding although he has not heard of any nor expect any that anybody thinking of coming with racist marks or signs are not welcome at the rally. Church also said he had already been personally called a fascist and racist because of his organizing the rally but that is not true. The protest is taking aim at pipeline restrictions due to its negative effect upon the economy. “We are protesting pipeline restrictions because it is the life blood of Western Canada and Canada as a whole...they have been restricting the construction of pipelines and we need pipelines to keep our economy moving.” Church said. “We are just common Joe’s who want to have our say and express our views peacefully,” he said. At present time he said he did not know how many people would be attending the rally but he was hoping for a good turnout predicting it will not be the last rally of the movement. The group is hoping for someone with a truck to show up and maybe bring others. Although the protest is happening on front of City Hall it’s not being done to protest against the City but the intersection of Fairford and Main Street was selected because of its central location. “This is an expression of our love of our country and our freedoms and how we need a few things fixed,” Church said. Although it is a yellow vest rally Church said it is going to be a peaceful demonstration and nothing more than that. Church says he welcomes others to join them. Numerous yellow vest rallies as well as other protest events have sprung up in Western Canada and elsewhere with most participants coming out to support the oil and gas industry. A recent rally in Estevan and Weyburn drew hundreds protesting the lack of pipelines and the negative effects upon the region's dominant oil and gas industry. Moose Jaw's rally happens this Saturday at 11 AM at the corner of Fairford and Main or City Hall.